A successful partnership with emarkable to create an action orientated culture that optimises Digital Marketing for the Export Market. Shay Murtagh Precast Ltd are specialists in precast and prestressed concrete solutions in Ireland for over four decades. The company foresaw a change to the Irish Construction Market which significantly began to decline in 2006 and this directly leading to a reduced demand for precast concrete products in the Irish marketplace. Shay Murtagh Precast and emarkable researched the possibility of entering the UK market. Shay Murtagh Precast’s goal was to position the company as a leader in Precast Concrete in the UK. 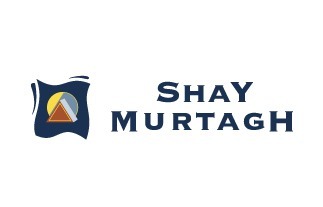 After a strategic, integrated planning approach with Shay Murtagh Precast we established the company in the UK market with shaymurtagh.co.uk in 2008 as our Digital Marketing Platform. Emarkable worked with the Shay Murtagh Precast team to develop an overall strategic marketing campaign that included: SWOT analysis, product differentiation, value proposition, competitive analysis, UK search engine optimisation, user questionnaires, link campaigns, social media campaigns, video blogs and video optimisation, alignment of point of sales material, lead nurturing using email and Salesforce CRM, PPC campaigns, as well as ongoing metric analysis and intelligence monitoring.Together we have created an action orientated culture that fully optimises digital marketing. Shay Murtagh Precast have embraced the opportunities that are available with digital marketing through the emarkable digital marketing model and continue to drive the brand and leadership qualities that have become the trademark of Shay Murtagh Precast’s professional business approach. Enterprise Ireland provided funding for the campaign under the emarketing initiative. The UK market now accounts for the majority share of Shay Murtagh Precast’s annual turnover. The success has been so overwhelming that the company announced the decision to employ 41 new staff members in 2012. 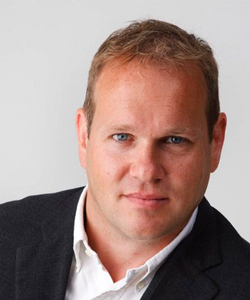 Shay Murtagh Precast hold the key positions in Google UK for their product offering and have positioned themselves as experts and thought leaders in the UK market. Website traffic, conversions and lead generation are tangible results. Shay Murtagh Precast continue to work with emarkable every day to grow their market position and keep ahead of their competition. The success has been so overwhelming that the company announced the decision to employ 41 new staff members.